Increasing rear axle spacing to 148mm over the 142mm standard moves the chainline outboard by 3mm, increasing the space available at the bottom bracket. This doesn’t sound like much but means that tire clearance can be increased without sacrificing drivetrain clearance or swingarm rigidity. 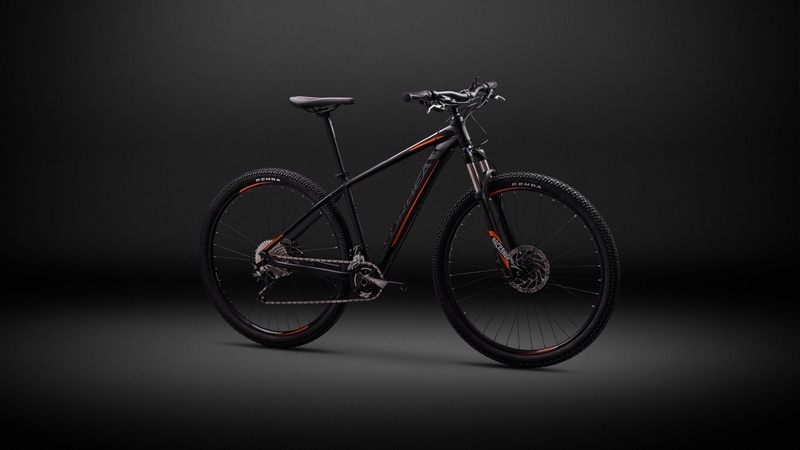 All of it adds up to more durability, nimble handling and a bike that tracks better through rough terrain. 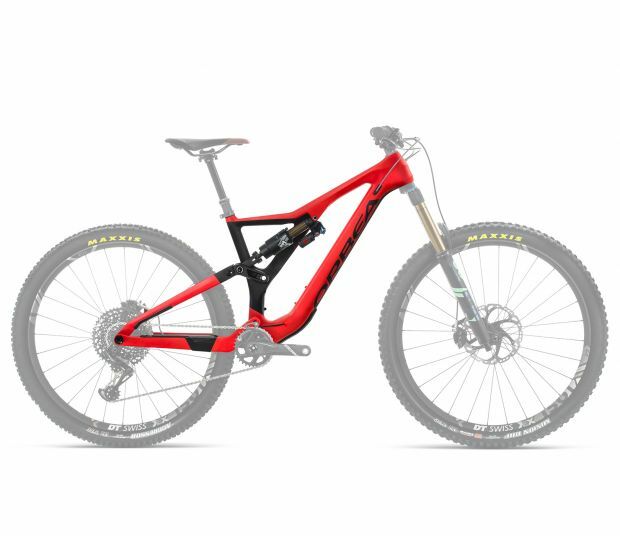 The asymmetric/offset design offers unique advantages beyond stiffness and low weight. 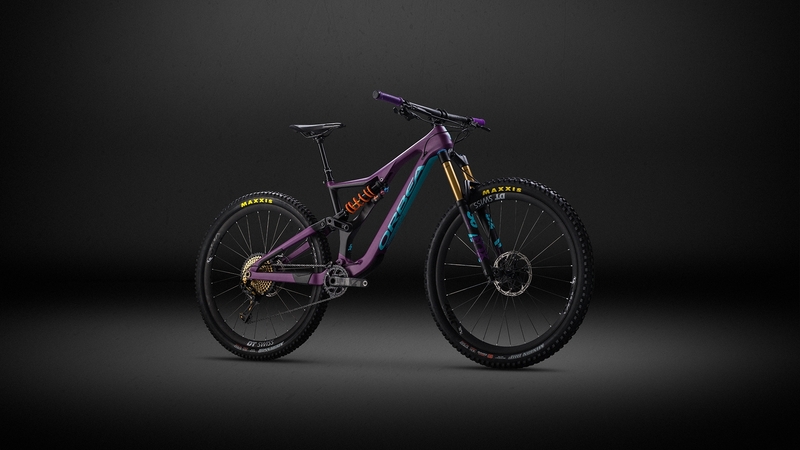 The shock is mounted in a position that offers incredibly easy access to damper controls, and without a frame support in the way, adjusting progressivity with volume spacers is easy to do right on the bike. By offsetting the shock, the amount of vertical space required to fit the shock and frame support is reduced, leaving room for a tool kit and a 500ml bottle with easy left-side access. The top tube is lower for extremely low standover. 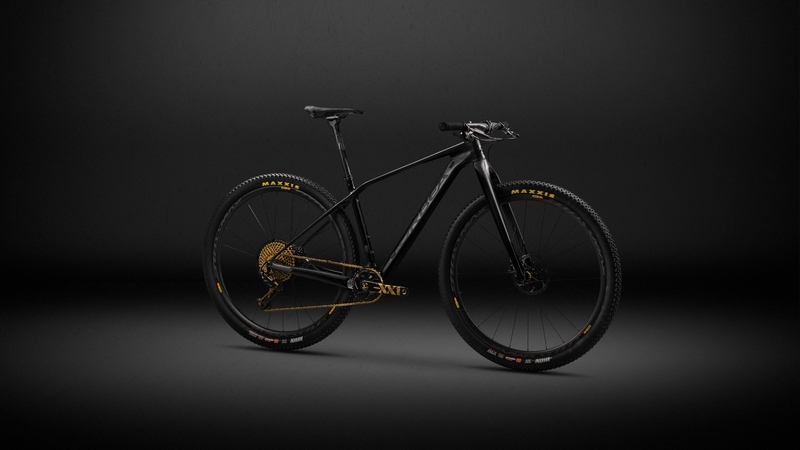 Orbea Monocoque Race (OMR) frames blend high modulus fibers and high strength fibers exclusively. Prepreg carbon sheets are laser cut to minimize excess materials and overlap, and hours of pre-moulding ensure optimal compaction with the smallest amount of carbon. A full EPS (Expanded Polystyrene) mold helps eliminate wrinkles and voids. 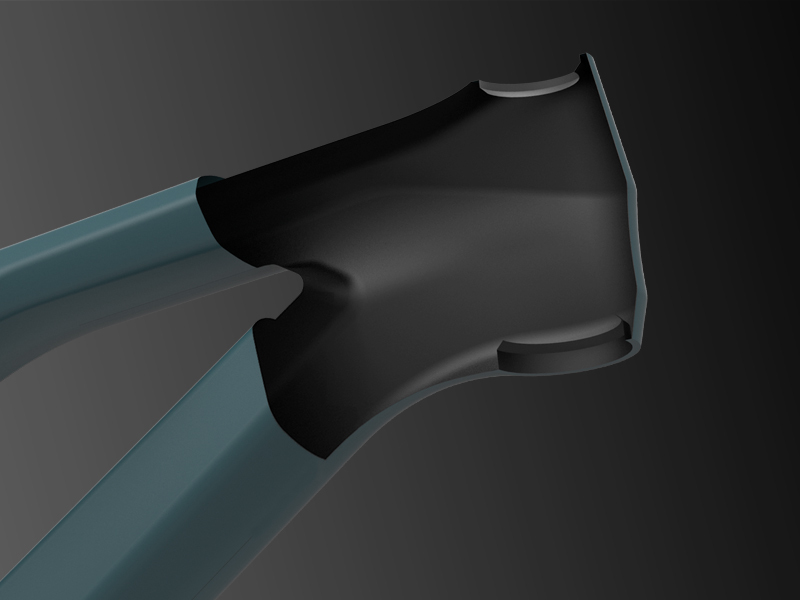 The 12mm offset of the shock allows the vertical distance taken up by the top tube, shock and frame reinforcement to be compressed. The top tube is lower for extremely low standover. Great stability at speed through rough terrain. Optimum balance and weight distribution. Rallon's concentric boost suspension, provides unique freedom to our engineers to finely design the kinematics so that pedalling efficiency, small bump sensibility, suspension progressivity and rear system stiffness to weight ratio can be independently optimized. A high main pivot point provides minimum pedalling energy losses at the same time the seat stays and linkage positioning ensure just the right progressivity for outstanding bumps absorption and ultimate grip and control. 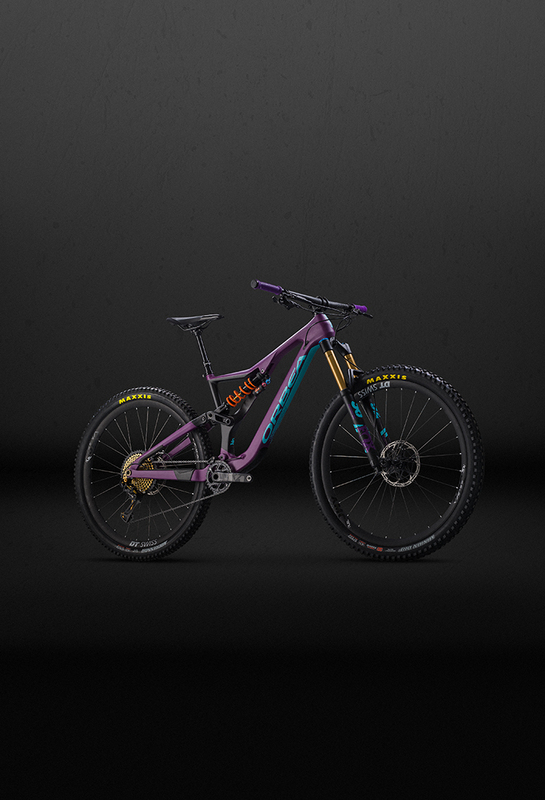 The suspension provides just the right progressivity (10%) so that can be used with any of the air or coil specifically tailor tuned Fox shox, ensuring every rider gets the maximum performance out of the box. 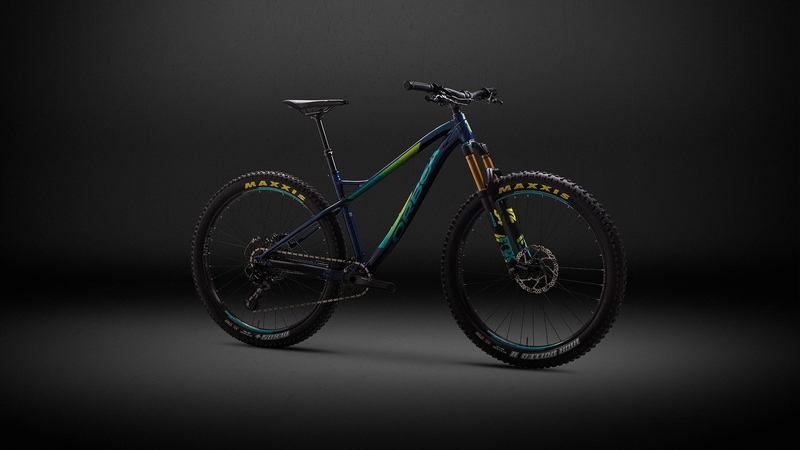 The Rallon is a ready-to-race Enduro bike, without the need of changing anything. "Straight out of the box this bike is a weapon!" "Faster is better. But faster, safer and playful is way better. This is how the Rallon felt during two days of riding in the demanding terrain of the Spanish Pyrenees." 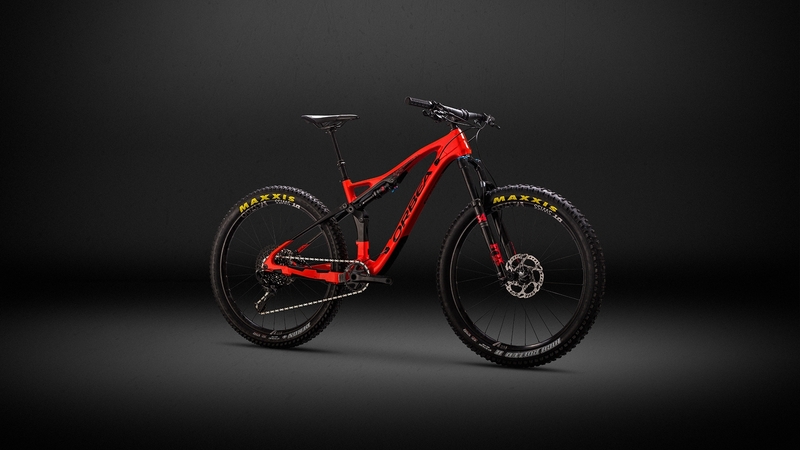 "This bike looks set to really challenge for our enduro bike of the year. And so there is only one word for this bike in my eyes. In the language of Orbea ¡ACOJONANTE!" 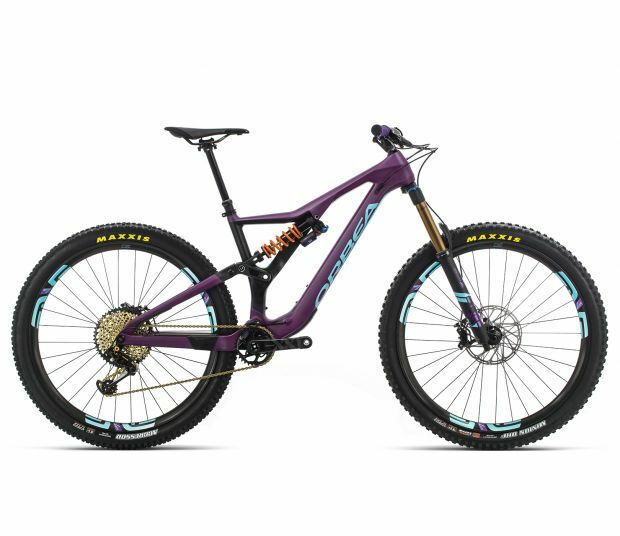 "If you want a rig you can throw into the gnarliest terrain with total confidence, line up and be competitive at the highest level of enduro racing or occasionally mix it up and go for a big day pedalling in the hills, then this bike ticks all the boxes." "Well done, Orbea! The new Orbea Rallon 5 takes us right back to the spirit and roots of the best enduro bikes, but comes with the latest tech and some clever details. The Spanish secret weapon is a phenomenal enduro bike"
“The new carbon Orbea Rallon R5 is simply awesome. In fact, its the first time that I have felt that this may be my discipline on a great enduro bike”. “Get ready for a machine that is truly awesome and exceptional in every sense”. 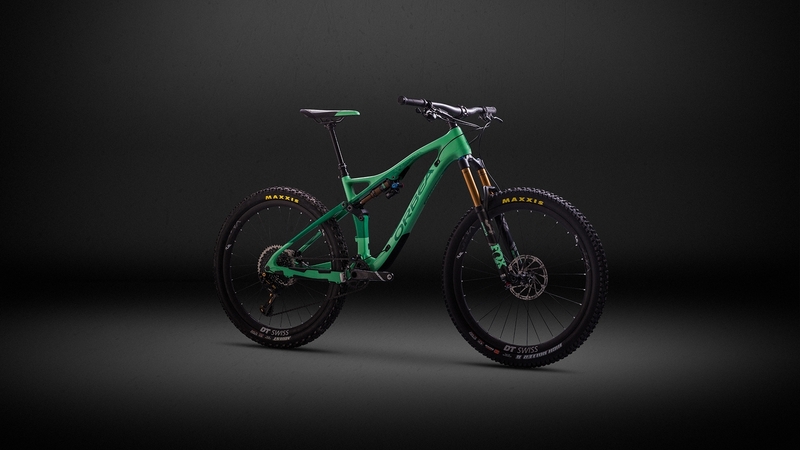 "The fifth generation of the Orbea enduro, sets the bar very high and distinguishes it from its competitors." "Orbea's New Rallon Is One of the Best Long-Travel 29ers"